Obituary for Armin Walter Nimmer | Allen Brothers Mortuary, Inc.
Mr. Armin Walter Nimmer died peacefully on February 10th in Encinitas, CA at the age of 86. Armin is survived by his wife Eloise and children, James, Lisa (Robert) and Troy (Jessica); and four grandchildren Holden, Bailey, Camille and Conor. He is preceded in death by his sisters Pearl Tebo and Anita Olson. Armin was born January 23rd, 1933 in North Fond du Lac, WI to Walter and Minnie Nimmer. He graduated from Winnebago Lutheran Academy in 1951. 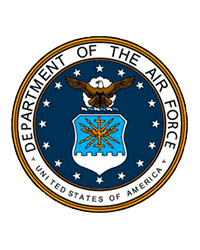 He served in the US Air Force from 1952 through 1956 and was stationed at Ernest Harmon AFB in Newfoundland and Scott AFB in Illinois. While on active duty he specialized in cryptography. He was also a subject instructor. After serving in the Air Force he moved to Milwaukee, WI. He graduated from Spencerian College in 1959 with a bachelor's degree in Business. He married Eloise Erdmann in June of 1962 and moved to Oshkosh, WI where he began working for Copps Department Store as a General Manager. Armin held positions with Copps in Oshkosh as well as Fort Atkinson, WI. In 1985 the Nimmers moved west to Lancaster, CA. In 2006 Armin and Eloise relocated to San Marcos closer to their daughter Lisa. Armin retired in 2007 from CVS Pharmacy. Armin had many interests and hobbies. He was a passionate Green Bay Packers fan, enjoyed painting, fishing, rock hounding, collecting sports memorabilia and coins. Armin was an active and dedicated member of Ascension Lutheran Church. He gave back to the community volunteering at Palomar Hospital and with the San Diego County Sheriff Department. His funeral will be held on Saturday February 16th at Ascension Lutheran Church in Escondido at 3:00PM. A reception will follow at Woodland Village Apartments in San Marcos, CA at 4:30PM. All are welcome to attend and celebrate Armin’s life.